Early reports suggest that the lorry driver, Mohamed Lahouaiej Bouhlel, who drove into crowds in Nice, France killing over 80 people was a local man. We must wait to know more, but sadly this awful event is being treated by French police as an act of home grown terrorism. There are no doors to slam shut to keep out home grown terrorists and their supporters already living among us in our communities. A defining feature of home grown terrorists is their beliefs about disconnection from their community. They identify themselves separately - they do not see themselves as having a stake in the future of their community. Much more must be done to improve the integration of citizens and all residents new and old. Too often integration is believed to be a process for migrants alone: "they" are to become more like "us". But a coherent community is "we" together. More can and should be done in France - and elsewhere - to promote and support integration and citizenship. As I argue in my new book Becoming British, leaving integration up to new members alone overlooks the fact that many second and later generations can also be alienated from society. The more we can tackle alienation and its causes, the more people can see their future in a shared community they have an interest in developing. This won't win the war against terror on its own, but it's difficult to see how it can be won without it either. 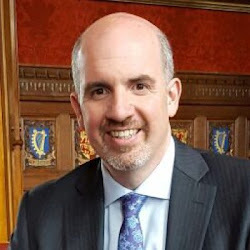 Thom Brooks is Professor of Law and Government at Durham University's Law School and author of Becoming British (Biteback Publishing) published last month.